Making Monday Marvelous #113 - C.R.A.F.T. 2. 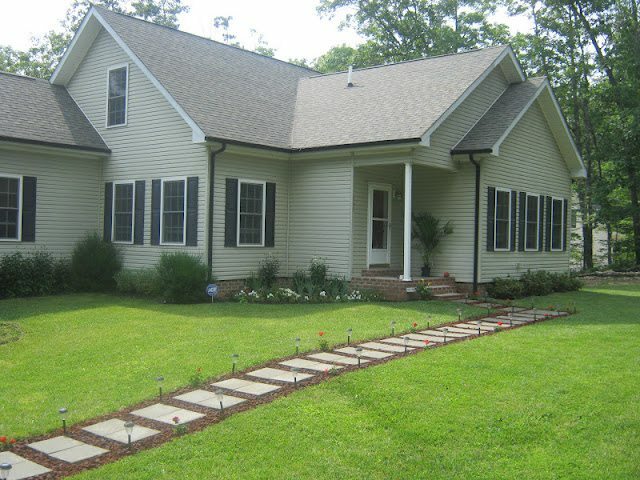 I love the walkway update paint speckled pawprints did in their front yard. I bet it’s a lot easier to mow and red and green contrast is fun! 3. 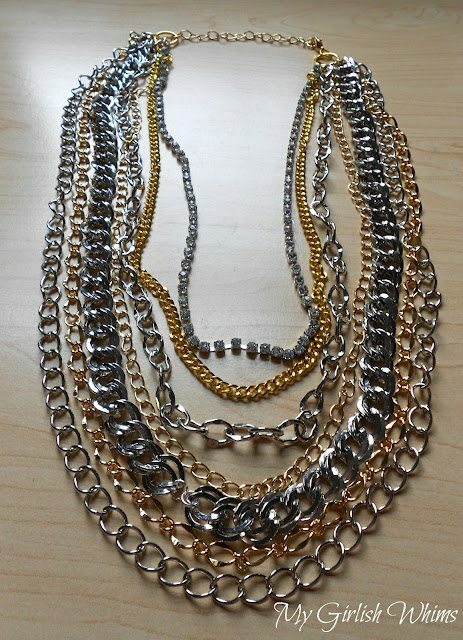 My girlish whims created a fun necklace out of lots of random chains! The original was $165! 4. The crafty scientist’s interchangeable wreath is pretty genius! One wreath, tons of looks! Love this. 5. 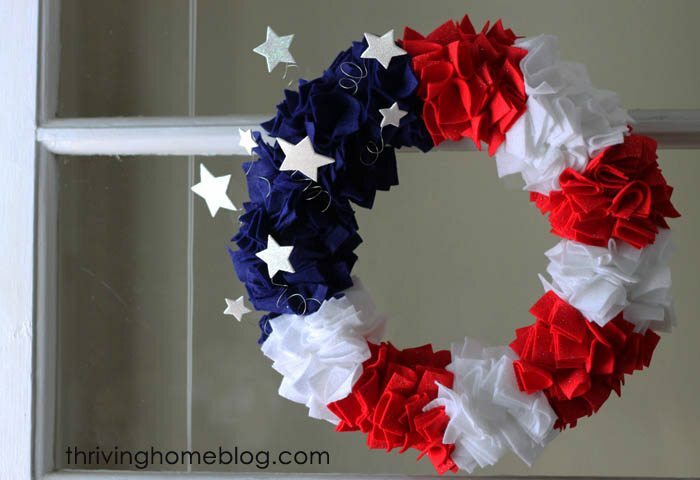 Speaking of wreaths, check out this 4th of July crafty masterpiece made by thriving home. She used felt, pins, and a foam wreath! 6. I did a round up post of 59 hand and foot print art projects for kids. 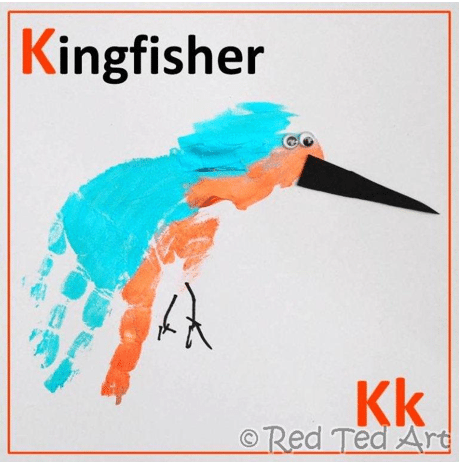 This kingfisher from Red Ted Art must be added to the list. It’s so cute! 7. One more wreath! The late young family used an embroidery hoop to make a super skinny wreath for the front door! It turned out great!! Thanks for featuring my necklace! Love those chain necklaces! Thank you so much for hosting and have a wonderful 4th! Hello! Thanks for another link party. Freezing Beans (# 159 ) are easy to do beforehand and freeze for later use. I have a tutorial on how to do this and how to avoid BPA that are in most canned foods. Plus, beans are cheap! Hope you enjoy! Thank you so much for featuring my walkway today, Jamie! Hope you have a wonderful week! 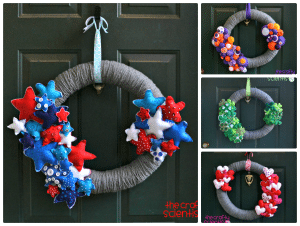 I featured the Crafty Scientist’s wreath this week, too! Good choice ;). Thanks for hosting. It’s so clever and cute! Thanks so much for hosting Jamie! Hope you had a great weekend! You are sooo welcome 🙂 Thanks for linking up awesome stuff!! Thank you so much for hosting. I hope you have a great 4th of July week ahead of you! Yay! 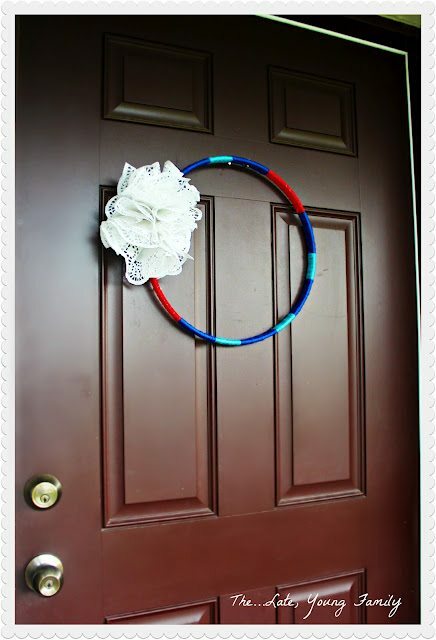 Thanks for featuring my embroidery hoop wreath, Jamie! I shared it on my Facebook page. 😀 Can’t wait to link up more projects in the future! Thanks for hosting. This is my first time to link up. Thanks for hosting lovely lady! 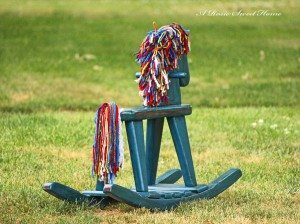 Great features, loving that rocking horse!